When it comes to my husband he has to have shoes that are immediately comfortable for his feet. He's not like the rest of us that can "wait till they are broke in" so to speak. He's also not like the rest of us because he has wide-width feet which makes it harder to find shoes that offer that comfort right away. I'm sure you're wondering, and the answer is yes, shoe shopping is hard for him. 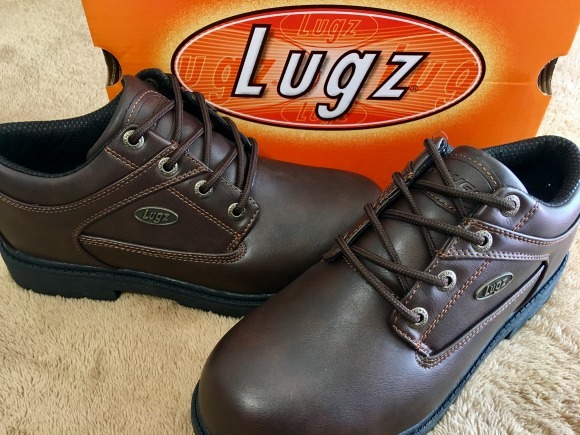 Thankfully though there are some brands like Lugz that thinks of guys like my husband and offers them shoes in those wide-width sizes. Oh, and did I mention they are comfortable too? I recently got a pair of their Savoy Slip Resistant shoes for him because he had been searching for a pair of shoes to wear when he has training classes all day at work. He didn't want to wear his work boots, and they frown on you wearing your everyday sneakers. So he was stuck either wearing his old broken down dress shoes or his work boots that are bulky. Thankfully these arrived just before his first of the month all day class and he was able to give them a shot. I was pretty excited when he texted me on his lunch break and thanked me for the shoes. He said he actually had other guys in the plant ask him if they were comfortable and where he got his shoes because they liked the look of them. I like to call them dressy yet stylish. They look good with a pair of jeans, and with a pair of dress pants making them a nice all around shoe. Oh and since they are comfortable they make a good all-day shoe too! Get the job done with the Savoy SR, a work proof oxford that will keep you going all day. The Savoy SR is ASTM F1677 Mark II tested to ensure exceptional slip resistance rating and superior traction. 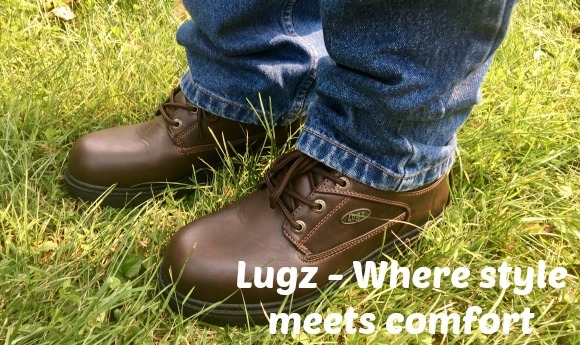 My husband has a pair of Lugz and just loves them. He has the boots and he says they are comfortable and fit well. Probably my most favorite pair of outdoor shoes is my Lugz. We grew up wearing lugz. They are so warm and comfortable.